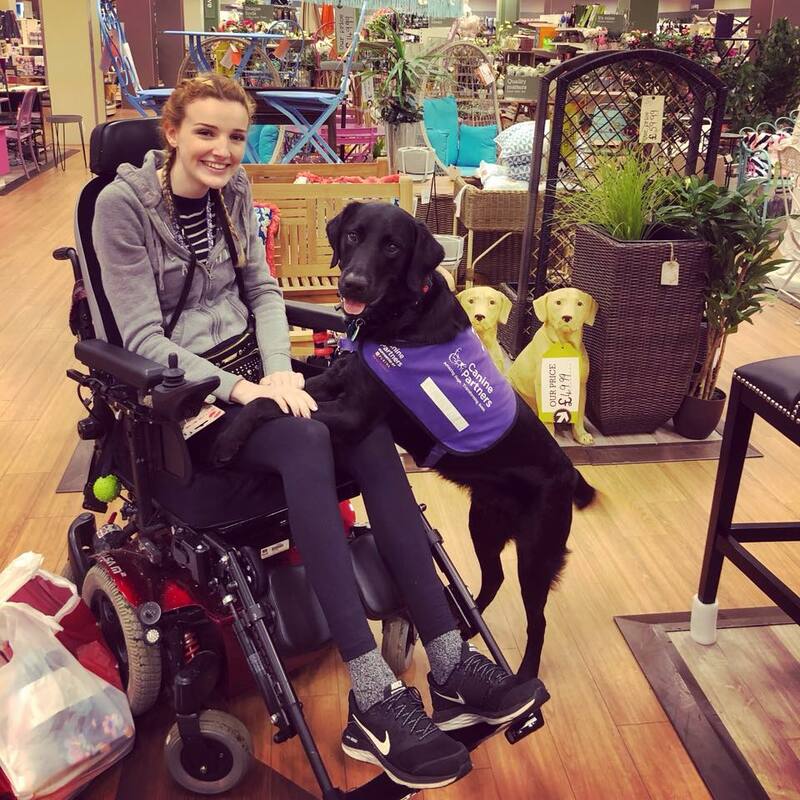 Shopping can pose a number of barriers when you have additional needs. Since 'Intu' have taken over the Metrocentre, I'm pleased to say the accessibility has definitely improved and a number of new schemes have been launched. This has 32 electric scooters and 50 manual wheelchairs. There is a membership fee and a small hire charge. You can also use their reserved parking in the blue mall if you have reserved a wheelchair/scooter. Booking is recommended. This enables anyone who's blind or partially sighted to 2 hours free personal shopping with a trained guide. Working closely with local school Percy Hedley, they have a number of downloadable guides for visiting the centre with Autism and an Autism alert card. Newly introduced with the help of Autism North East are sensory backpacks which are available to hire. These include things like ear defenders, fidgets, sunglasses, egg timers & guides. The centre is also having a 'quiet hour' on the first Tuesday of every month 10-11am and the first Saturday of every month 9-10am where the music is turned down, the lights are dimmed and there is more staff at hand to help out. At Christmas and Easter, the Metrocentre made the (fantastic) decision to sign some of their Metrognome shows. It's something which was incredibly popular so is hoping to be a regular feature. The toilets by transport exchange/blue mall have electronic push pads meaning they are much easier to access for wheelchair users. They also have contrast support rails for those with visual impairments. The baby calm rooms have been made wide enough for wheelchair users and the changing tables are also accessible for wheelchair users! The baby changing room is much larger with an accessible toilet so a family with greater access needs could really benefit from this area. In Debenhams, there is a fully accessible toilet with a tracking hoist, shower and lima lift toilet. You do need to provide your own sling and sign up for the (free) membership scheme in the red mall to gain access to the equipment. - Reduce the accompanied shopping age to those under 18 (independence is everything!) and also allow this to run through December - visually impaired people want to Christmas shop too! - There is no 'quiet space' in the Metrocentre which does surprise me for a shopping mall of this size. An area with sensory equipment or even just somewhere so people with chronic illnesses can lie down/rest would be a huge game changer. - The new sensory bags would be fabulous if they were available to purchase, as handing back the bag for an autistic person might be difficult so it would be fabulous to have both options. Overall, as a shopping centre I think they're doing incredibly well, from employing disabled people to coming up with new initiatives. I would love to see more change in individual outlets like having proper accessible tables in restaurants (I don't think there's one in the Metrocentre) or making wide enough isles for wheelchairs (and don't get me started on disabled changing rooms being used as storage...) but a little change at a time will go a long way. How is your local shopping centre? What would you improve?